Cindy began the pursuit of her pilot’s license and aircraft ownership in 2009 and within one year, she was instrument rated and a fractional owner of a Cirrus SR22. In 2014, she became the sole owner of an exquisite Corso red SR22T. Air Cindy, as Cindy has loving dubbed her plane, was tailored specifically to her and she worked with the Cirrus Custom Design Team to make sure every detail was accounted for; custom seats, decals and even shirts with her very own Air Cindy logo. “I love my plane from top to bottom, and I love flying it EVERYWHERE!” Name a state, any state (besides Hawaii), and Cindy has been there. “I’m an adrenaline junkie! Flying has become such a passion of mine. I love the feeling of it, and I also like the challenge that comes with it. It’s made me step out of my comfort zone, and I like things that make me do that,” Cindy explained. Cindy flies whenever she can to keep her skills sharp – and have a little fun. There’s nothing she can’t do and nowhere she can’t go in her Cirrus. Air Cindy’s favorite destination is the Grand Canyon. “More than half the fun of owning an aircraft is going on trips and tours. 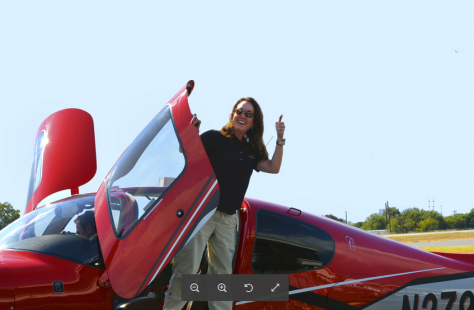 My husband and I fly just about anywhere that would be incredible to view from the plane.” Of course, Cindy revels at the freedom and fun her Cirrus gives her, safety is still very important to her. “I wanted to fly the plane with the parachute. It’s the biggest advantage to owning a Cirrus. CAPS puts my passengers and me at a higher level of security,” remarked Cindy. With such enthusiasm for flying, Cindy feels it’s her duty to share aviation with others. “I LOVE introducing people to general aviation. I try to get as many people as possible in the air for a ride – even friends who were afraid of flying. 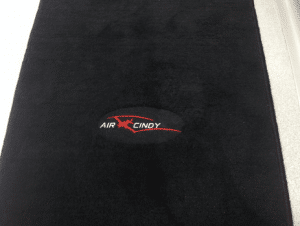 Needless to say they aren’t afraid anymore.” Cindy also frequently flies her husband to many of his business meetings, and it has been very helpful to have the ability to fly into smaller general aviation airports. “Everybody wants to fly in Air Cindy. They always want to know when I’m available and my passengers love flying in the Cirrus. I love that – blowing away people’s expectations. 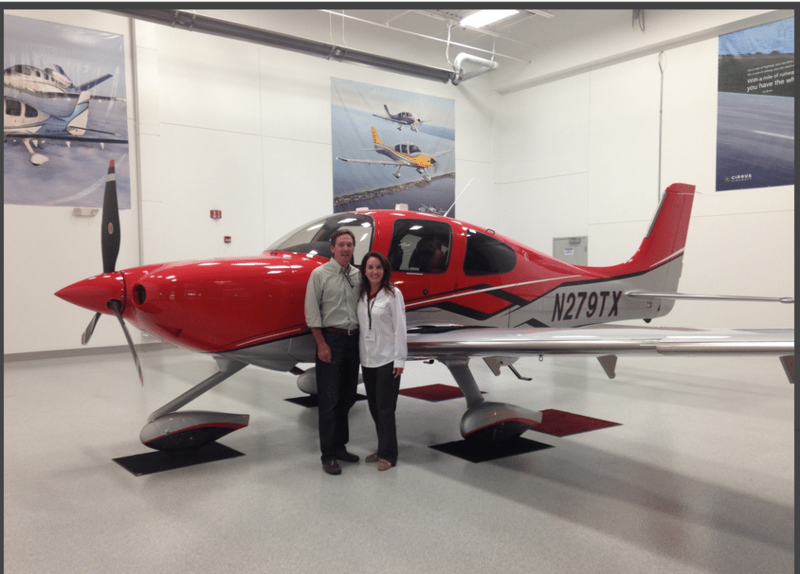 Being a college professor before and being a pilot now, Cirrus has changed my life completely,” concluded Cindy. Cindy and her husband taking delivery of Air Cindy at Cirrus Corporate Headquarters.